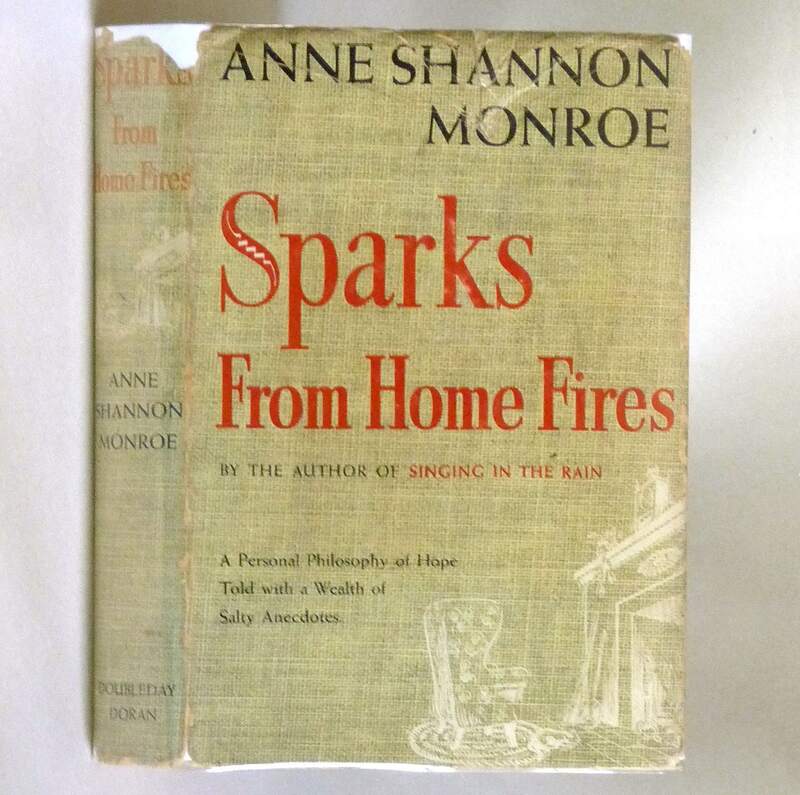 Description: Book has light bumping and wear to head and tail of spine. 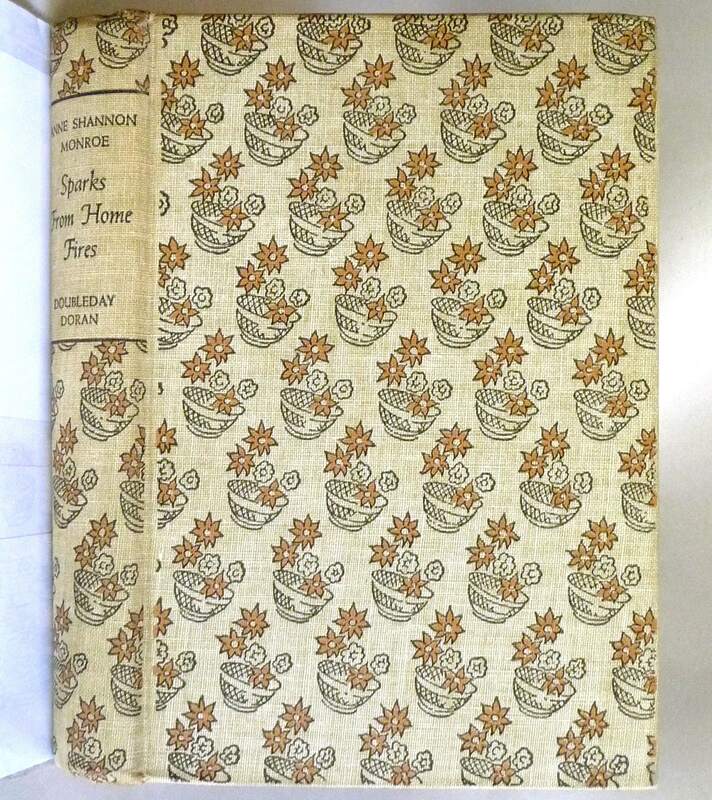 Faint curling of fore edge corners. Ffep has previous owner's name at top, square piece clipped from lower fore edge corner, otherwise would be a VG book. Previous owner's bookplate on front paste-down. Starting front hinge. Slight soiling to fore edge of text block. Top dyed edge. 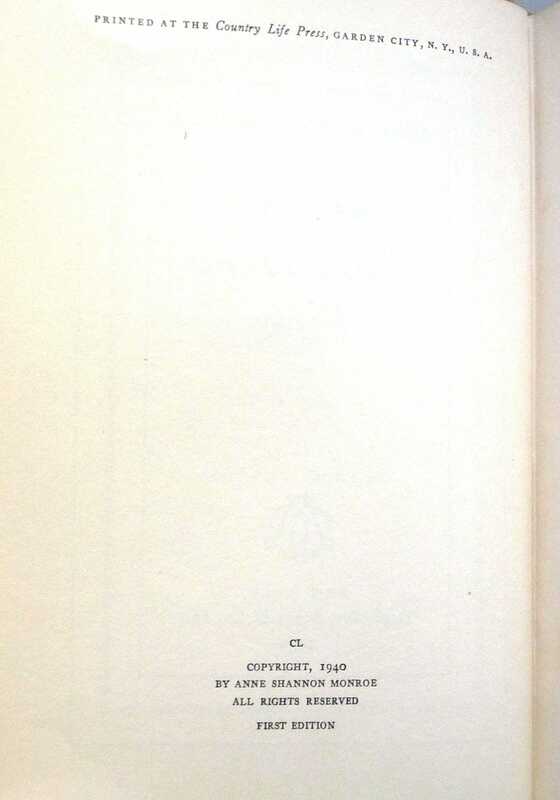 Pages are free of marks. Binding is sound. Dust jacket has one closed tear to center top edge. Closed tears/chips to spine. Not price clipped ($2.00). DJ has been placed in archival protective cover. 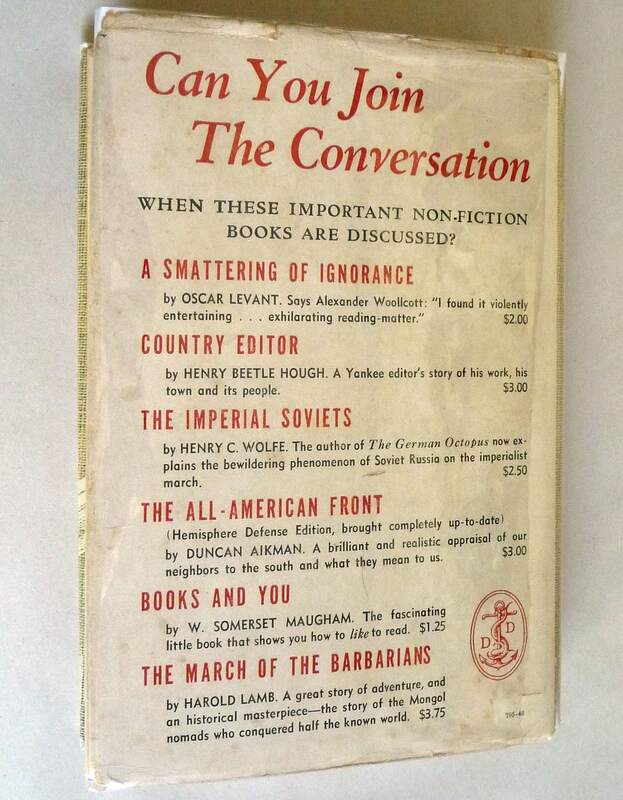 Stated first edition, 1940.